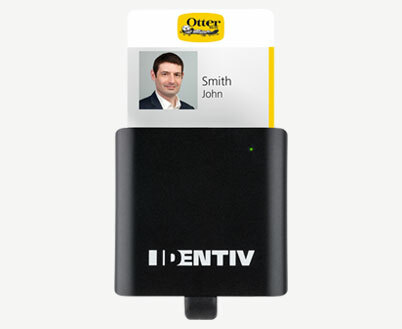 Identiv’s myAuthenticate™ 2.0 OtterBox® is a smart card reader designed for Otterbox® uniVERSE Case System and Samsung S8 and S9 mobile phones. Our world is increasingly more reliant on mobile devices. myAuthenticate™ 2.0 OtterBox® provides an extra layer of security. myAuthenticate 2.0 is designed to work with the Otterbox uniVERSE Case System and Samsung S8 and S9 mobile phones. 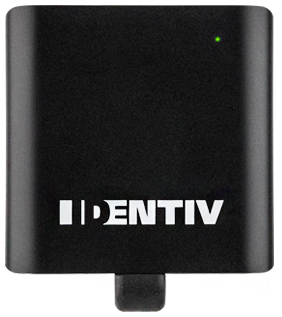 The reader supports standard ISO 7816 smart cards issued by the U.S. government, including PIV and CAC. myAuthenticate 2.0 is compatible with middleware applications (not included) for secure access to web-based email, portals, and collaboration sites authenticated to CAC, PIV, or other approved smart cards.